Comments Off on Can MBS be the US partner for regional settlement? News leaking from some of the closed meetings at the Warsaw Summit last week, as well as additional leaks from the recent summit at Sharm Al Sheikh have provided some general outlines of the new US vision for the settlement in Middle East. Jared Kushner, US President Trump’s son in law appears to be at the center of the plans, and used last week’s Warsaw Summit as the first opportunity to promote and set the plans in motion. It is also clear that the Trump Administration’s plans involve Saudi Arabia as the key regional partner to implement and drive the strategy on the ground. While Kushner is not aligned with an ideology or faction within the US, he does act as a direct proxy for his father in law. However, as that direct proxy, there is also the potential for his time to run out in 18 months if Trump does not win a second term as President. This is just one reason to add some caution to any optimism as this is not the first attempt to build consensus for regional settlement, and it may not be the last. On the other hand, the Saudi Crown Prince, Mohammed Bid Salman, known as MBS, could provide the right balance for their partnership to achieve change in the region. The young prince has a strong desire to take the Saudi throne and has important characteristics that distinguish him from any other competitor to the role. He has a strong character, the capacity to impose change and the courage to act. However, it must be noted that MBS may not be a partner of the US as much as he is a partner of the current administration, which may not have much longer left to run. Washington sources report ongoing pressure from influential democracy advocates to pursue MBS on the assassination of Jamal Khashoggi, some of whom suggest there is hard evidence that MBS was involved. 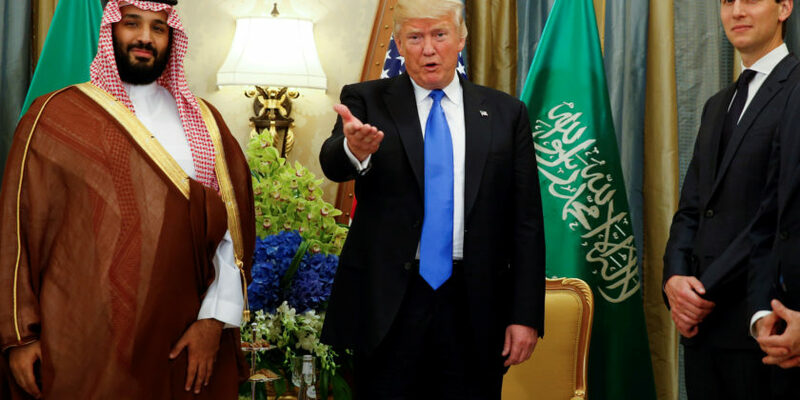 While it is unlikely he will be charged with Khashoggi’s murder, but there are certain parts of Washington who are unwilling to support or work with him, including some within the current administration. A Saudi initiative for regional settlement is not new, in fact since the 1981 Arab Summit in Fez, the Saudis have pushed Arab peace initiatives in many forms. Riyadh has been seeking to be the main broker of regional peace since then. It is difficult to see major progress towards regional settlement without the stabilization of several conflicts in the Middle East. The level of discord amongst Arabs is very high, and the situations in Syria and Yemen need to be resolved in order to find an acceptable package for resolution with the Palestinians and their home. The traditional Arab alliances also appear inexplicably frayed, for example King Abdullah of Jordan’s absence from the Sharm Al Sheikh summit this week. There is also a potential for fallout if a single group in Washington and a single regional actor impose their will on the region. The US must be united on their approach to a long-term settlement, and multilateral regional engagement is crucial in order to provide the stability and support on the ground that is needed for a sustainable settlement. The key to success for the Trump Administration is to expand the circle of consensus with its vision for the region. At this stage there does not appear to be the broad regional or domestic support necessary for a long-term settlement.